If you've ever sat down to write a difficult email and struggled over what to say, you know the importance of choosing the right word. Words have power. Just a few small words, a phrase that takes seconds to utter, can bring happiness or hurt, encouragement or devastation. That's the tension Patrick Lockwood, the Worship and Music Associate at Christ Presbyterian, wanted to dig into when he started Mug and Pencil, a missional community here at Christ Presbyterian. 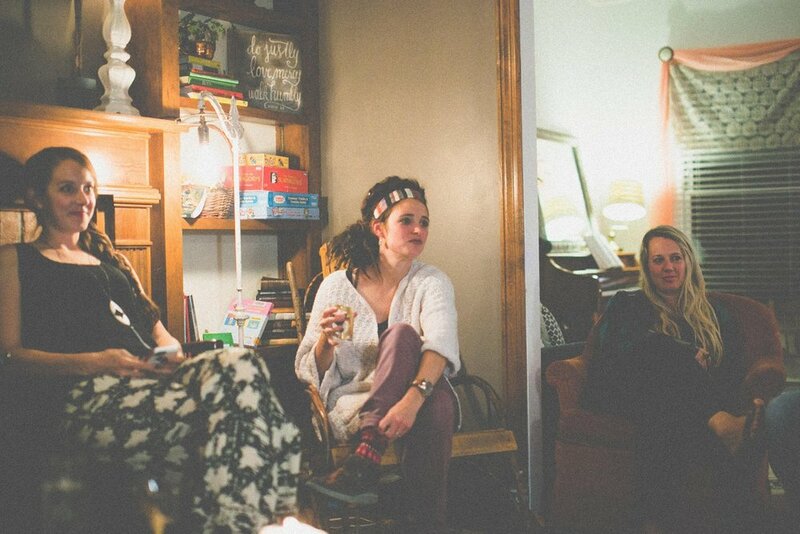 Our Missional Communities were created to serve the city of Nashville. They always include members and non-members who want to meet, get to know each other, and grow as people over shared interests. Mug and Pencil is a Missional Community built to serve artists—specifically creative writers. "We're a group of creative writers—songwriters, poets, novelists, scriptwriters, article writers, both professional and amateur, who want a place to just be sharpened and talk about writing and the power of words," Patrick says. "We share pieces that we've been working on. Some people share songs, others share poetry, and we do so, usually, in a small setting by a fireplace over food and a glass of wine." The group has been meeting for four years now, once a month at the houses of different group members. On occasion, they'll have successful and intriguing guest speakers come in to inspire and encourage the community. "One thing I like about our group," Patrick says, "is that we're not about just doing stuff for the sake of doing it. We're about becoming better writers who use our words to make Nashville and the world a better place." Nashville isn't lacking in writers, but Mug and Pencil's goal is to give those writers a vision that might even go beyond just writing a hit song or a featured poem. One newly married couple wrote their first song together through an exercise in the group. Another member overcame a difficult past and was encouraged by the group to find a new freedom in writing. Patrick tells the story of one particular exercise that had a huge impact on Mug and Pencil's members: "We asked them to write their life story in five minutes, no more than eight lines of content. Then we asked them to cut it down to four lines without adding additional writing. Then we asked them to cut it to two lines, followed by one line. Then, finally, two words. The whole process was amazing. Some people were crying as they worked through the words and the feelings behind what they had been through." Our goal at Christ Presbyterian Church is "to follow Christ in his mission of loving people, places, and things to life." Missional Communities, like Mug and Pencil, are designed to empower Christ Presbyterian members to do just that. So, as a church staff, it's incredibly encouraging to see these communities flourish and grow throughout Nashville. All it takes is something as small as a meeting with others over a laptop and a cup of coffee to lead you to something greater than yourself. If you want to find out more about Mug and Pencil, email Courtney Keen.